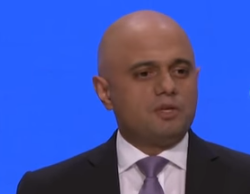 Home Secretary Sajid Javid has been criticised for claiming that detaining migrants is a “last resort” and that those detained are swiftly deported. “Locking up 28,000 people without release dates every year is no last resort – it’s a matter of course. Just one month in detention devastates mental health, and many people are held for years on end – before more than half of those the Home Secretary says have a ‘reasonable prospect of removal within a reasonable time’ are released back into the community. While Javid claimed that detainees are deported swiftly, a government-commissioned independent report found that more than half of detainees are eventually released back into the community. Supporting this, a Guardian survey found that more than 80% of detainees have been given no ‘removal directions’ (arrangements made for a deportation) and so do not know if or when they will be deported. Most people in the UK who are detained are held in eight detention centres, of which seven are privately-owned. The most notorious example is Yarl’s Wood in Bedfordshire, the only detention centre for women. Convicted criminals can also be detained in prison after the end of their sentence under immigration powers while they await deportation. People are detained because the Home Office decides that they do not have the right to reside in the UK. Only after being detained are the detainees allowed to challenge their detention. Those who lack English language skills, legal representation and those new to the UK find it hardest to challenge their detention. Some are detained at airports or ports on arrival in the UK. Others are detained when trying to renew their visa after living in the UK for many years or while sleeping rough, working illegally, making an application for leave to remain or attending a regular appointment at a Home Office reporting centre. Others are detained in dawn raids. The detention industry has grown rapidly under the New Labour, Coalition and Conservative governments. In 2000, detention centres could hold just 475 people but now they can hold 3,500. The UK is currently the only country in Europe with no statutory time limit on detention. Several influential backbench Labour and Tory MPs are trying to change this by introducing an amendment to the new immigration bill which would limit detention to 28 days. The Labour Party promised in its 2017 manifesto to end indefinite detention and Diane Abbott yesterday pledged to support the backbench amendment abolishing indefinite detention. The immigration bill as it stands would not alter detention policy.